UFO sightings are one of those things about which people have a variety of opinions. Some are firm believers, some think the whole idea is ridiculous and the believers are crackpots, and many have opinions between those two poles. It seems logical that, in an infinite universe, there must be other life out there which is at least as intelligent and advanced as we are and that has figured out space travel. Having said that, there still hasn’t ever been irrefutable proof. A lot of reported “sightings” and reports of “abductions” have come from less-than-credible sources — but not all of them. One of those reports came from Jimmy Carter before he became our President. Boredom Therapy published a piece about President Carter’s experience. It occurred in 1969, as he was making his way to give a speech at the local Lion’s Club in the North Georgia town of Leary. At the time, he didn’t report what he’d seen, but in 1973, when he was Georgia’s governor, he was approached by the International UFO Bureau in Oklahoma City, Oklahoma and asked to make a statement. Recalling the incident, he said that someone brought his attention to an object in the sky. 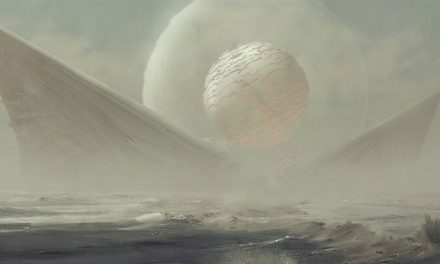 He looked and saw a bright object which seemed to be coming toward him, before it stopped over a stand of pine trees. He reported that it first appeared as a green light, then the bizarre object started to change colors, first to blue, then to red, and finally back to white, before it took off again into the sky. He described the light as getting brighter and brighter before it disappeared, and it didn’t seem to have any substance. He said that it was quite a strange experience. President Carter was one of around 20 witnesses who said that the object hovered over the trees for 10 or 12 minutes before making its departure. Needless to say, it was near impossible to prove what he witnessed that night, but the event left a long-lasting impression, nevertheless. 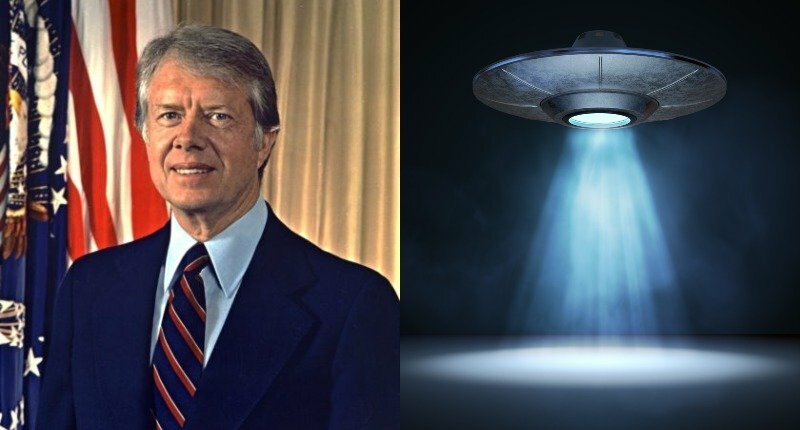 When Carter was running for president in 1976, he even said he’d put in an open policy for people who wanted to come forward with UFO sightings, and any information gathered would be shared with scientists and the public. He was reported as saying, “One thing’s for sure, I’ll never make fun of people who say they’ve seen unidentified objects in the sky. If I become President, I’ll make every piece of information this country has about UFO sightings available to the public and scientists.” He also said that he was certain of the existence of UFOs because he had seen one. When he became president-elect, he approached the director of the CIA, George H. W. Bush, to ask what the organization knew about extraterrestrials. Bush refused to answer the question and Carter backed off and later said there was no governmental UFO cover ups. Official portrait of George H. W. Bush, former President of the United States of America. President Carter played down those early statements over time, and took back his comments about releasing information on UFOs, saying it that publishing documents of that sort could have an impact on issues of national security. Inside Edition cites a 2007 interview with the former president, in which he pointed out that the object he saw was, after all, “unidentified” and that he didn’t believe that aliens visit our planet. That interview seems like an arresting departure from the former president’s vocal and very public stand, which gives cause to wonder: what changed? How did he go from sounding so certain to denying the very possibility of alien visitors? It could be as simple as time dimming the immediacy of his experience and his more rational mind taking over. He may have just decided that he was tired of being ribbed about the sighting by the public and the press over the decades. AgentZero from Area51.org has his own theory, though. He wrote that during the Carter-Bush meeting on the subject, Bush did refuse to say anything at first, but Carter persisted. Later, Carter was apparently spotted in the Oval Office, holding his head and weeping, and he never would say what he learned from the CIA. So, now we have more to wonder about. PreviousWhy Haven’t We Found Aliens? Because We’re Just Not Looking Hard Enough. Ancient Aliens Hack And Cheats Enjoy The Free Gold, Iridium And DNA!